Two-part, gap-filling formula easily bonds steel, aluminum, wood, ceramic, tile and most plastics. Dries crystal-clear. Interior or exterior use. 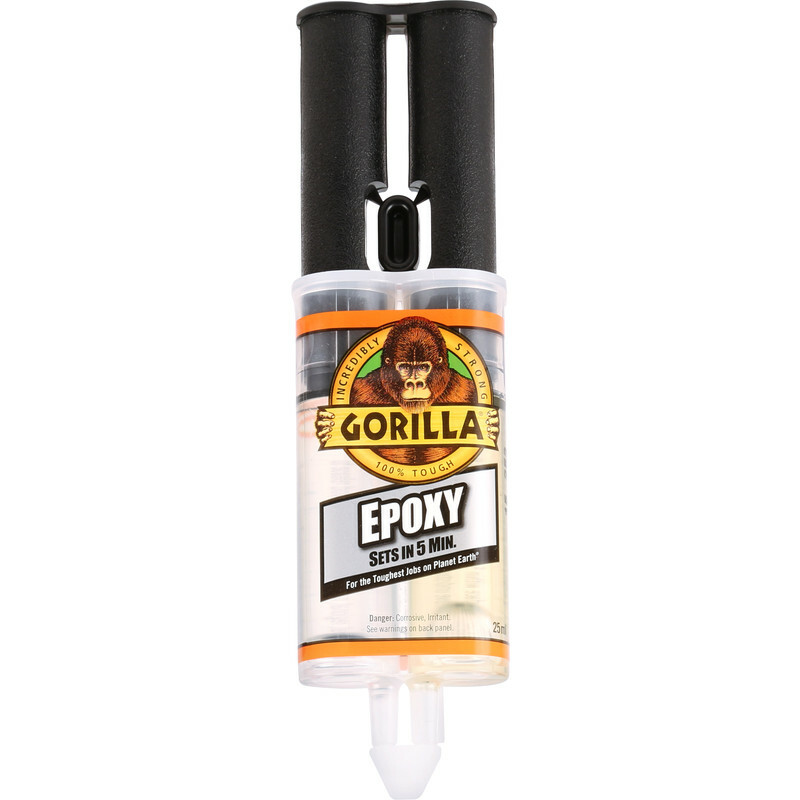 Gorilla Epoxy Resin Adhesive 25ml is rated 4.1 out of 5 by 7. Rated 5 out of 5 by notone from many uses i used it as a glue and a minor body repair on my car. Rated 4 out of 5 by Anonymous from Set really hard really fast, just what i needed. good product, easy to use - as directed - stuck a broken tile together no bother. Resealed as directed however it appears not to like being reused. Therefore i'd use the whole lot rather than save. Still happy though did what i bought it for. Rated 5 out of 5 by Beersteddy from Strong and cheap Dries in about 30min, full strength in about 12-24h. Used to repair prescription glasses and did the job. Rated 4 out of 5 by danm101 from Good quality versatile glue Good quality epoxy resin glue that can be used for many different applications.